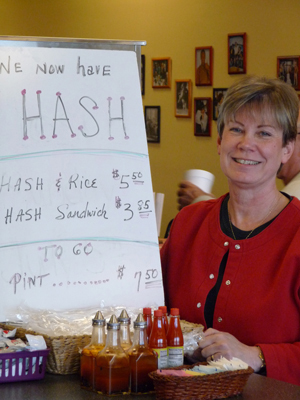 You know you’re in South Carolina when the barbecue restaurants serve hash. What’s hash? Well, about the closest place to Charlotte to find out is Burk’s BBQ in Rock Hill. Barbecue hash is not to be confused with corned beef hash, that reddish potato-flecked food that Northerners sometimes serve for breakfast. South Carolina hash is a noontime or evening thing. And it’s always accompanied by rice, a tradition dating back to the nineteenthcentury when coastal Carolina ranked among the great rice-growing regions of the world. For more on hash history, consult Digital Traditions-South Carolina.